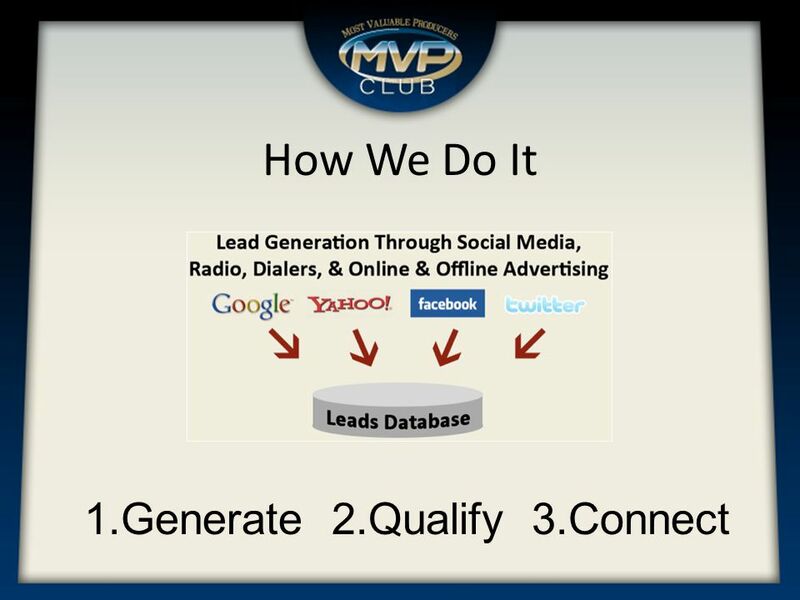 MVP Club Agenda What We Do How We Do It Why We Are Different Technology Used Lead Examples Agent Successes Get Started! 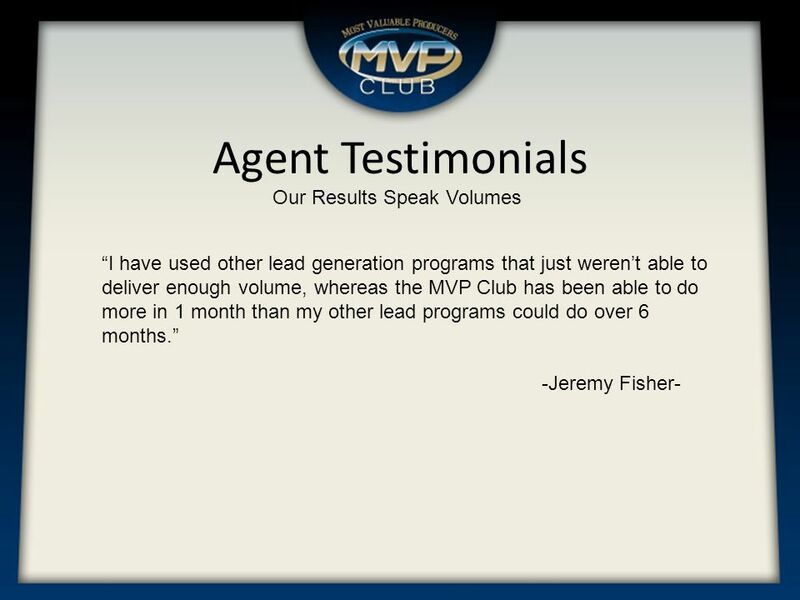 2 MVP Club Agenda What We Do How We Do It Why We Are Different Technology Used Lead Examples Agent Successes Get Started! 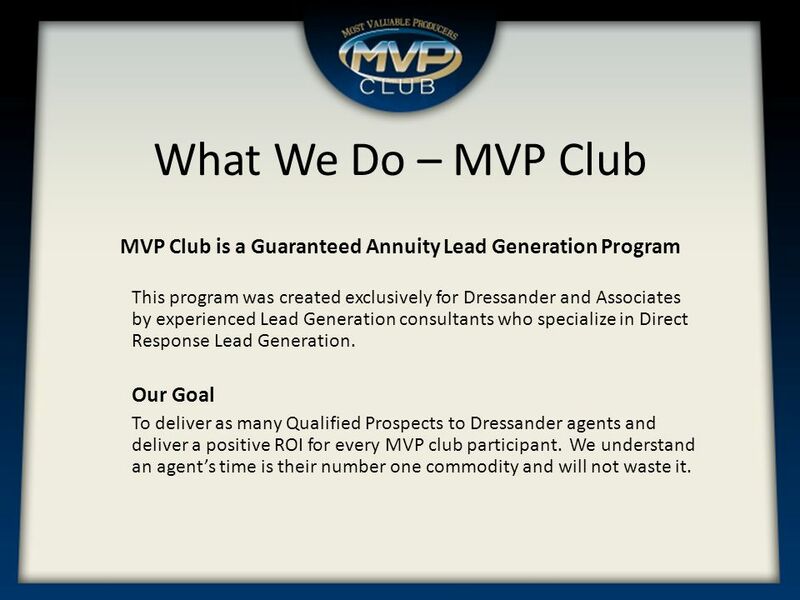 3 What We Do – MVP Club MVP Club is a Guaranteed Annuity Lead Generation Program This program was created exclusively for Dressander and Associates by experienced Lead Generation consultants who specialize in Direct Response Lead Generation. 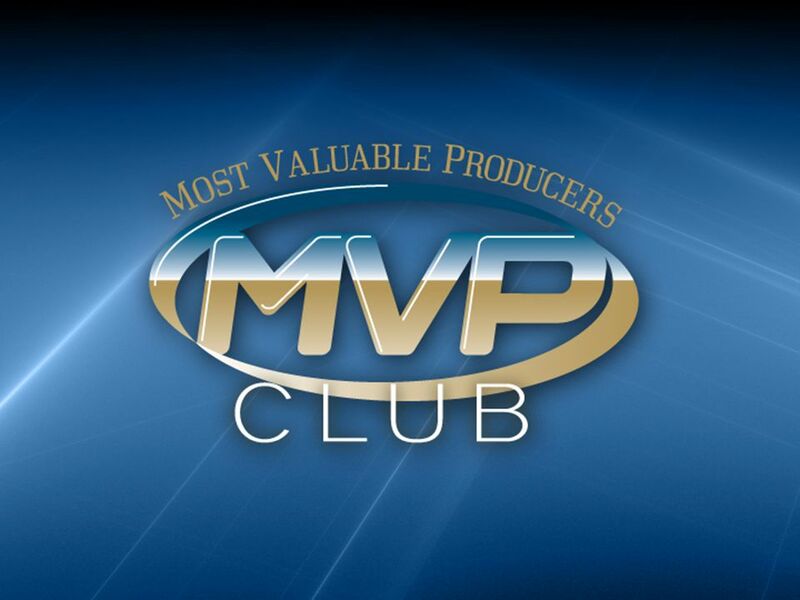 Our Goal To deliver as many Qualified Prospects to Dressander agents and deliver a positive ROI for every MVP club participant. 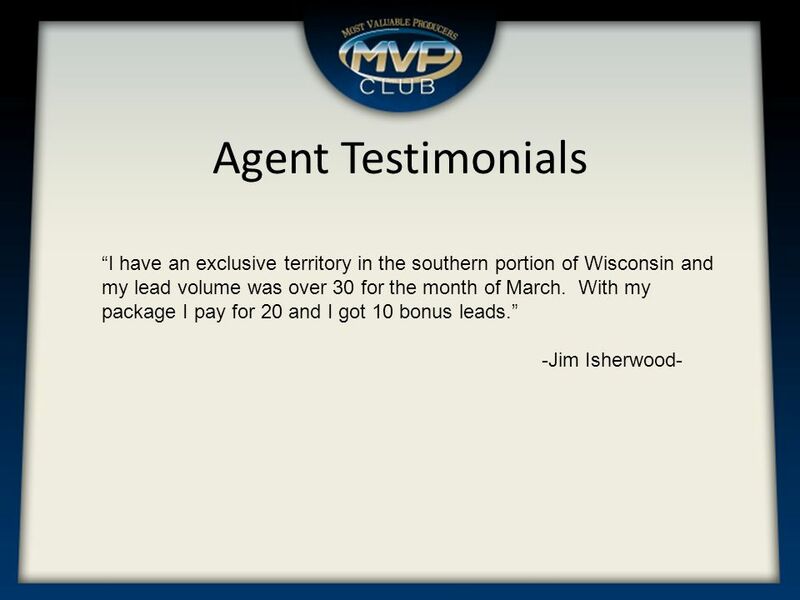 We understand an agents time is their number one commodity and will not waste it. 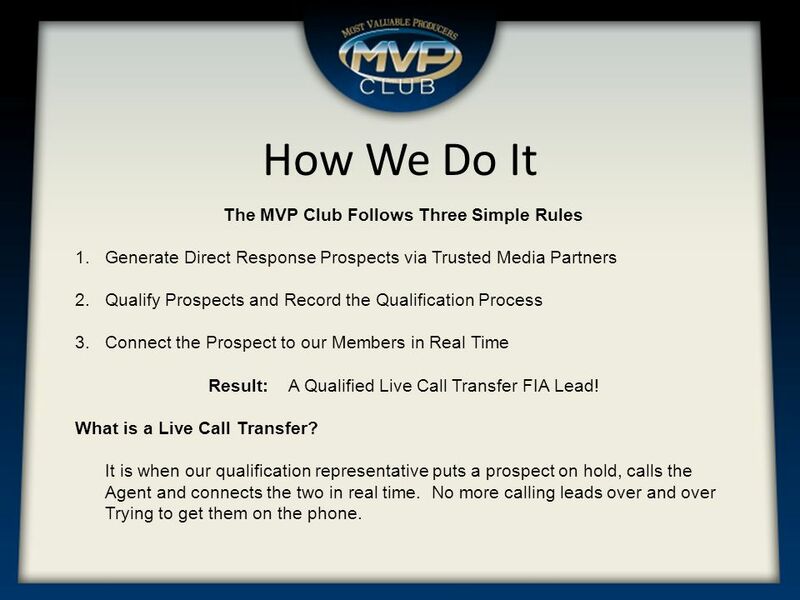 5 How We Do It The MVP Club Follows Three Simple Rules 1.Generate Direct Response Prospects via Trusted Media Partners 2.Qualify Prospects and Record the Qualification Process 3.Connect the Prospect to our Members in Real Time Result: A Qualified Live Call Transfer FIA Lead! 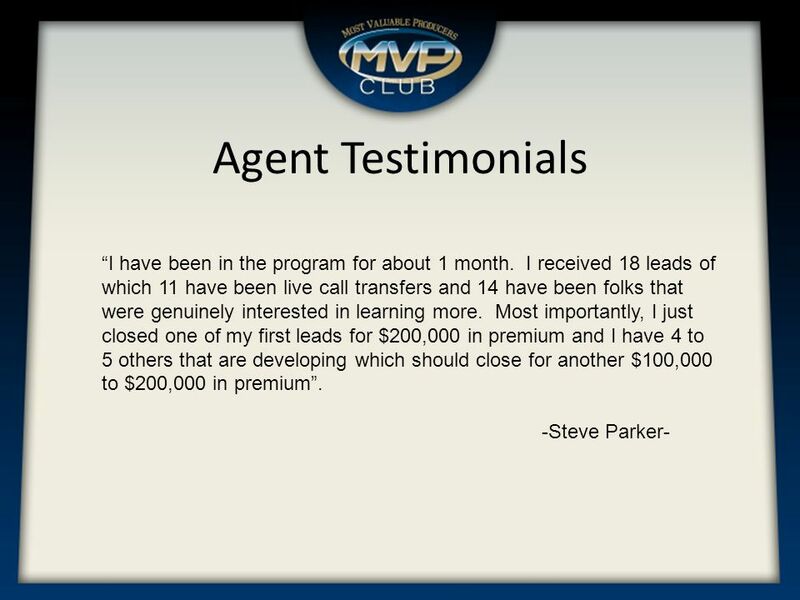 What is a Live Call Transfer? 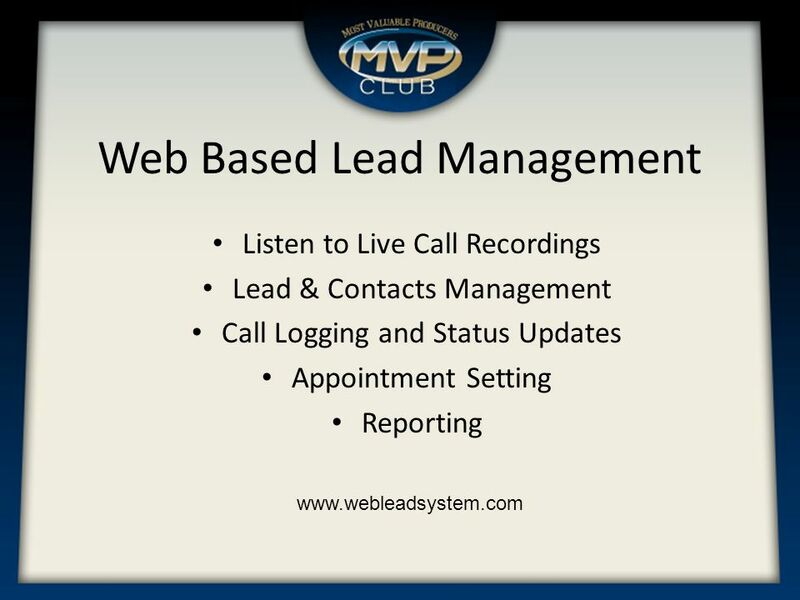 It is when our qualification representative puts a prospect on hold, calls the Agent and connects the two in real time. 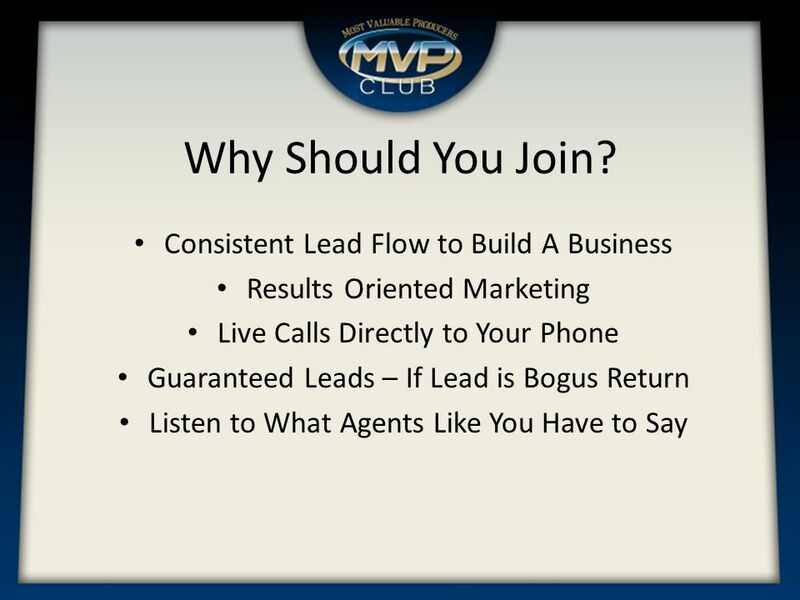 No more calling leads over and over Trying to get them on the phone. 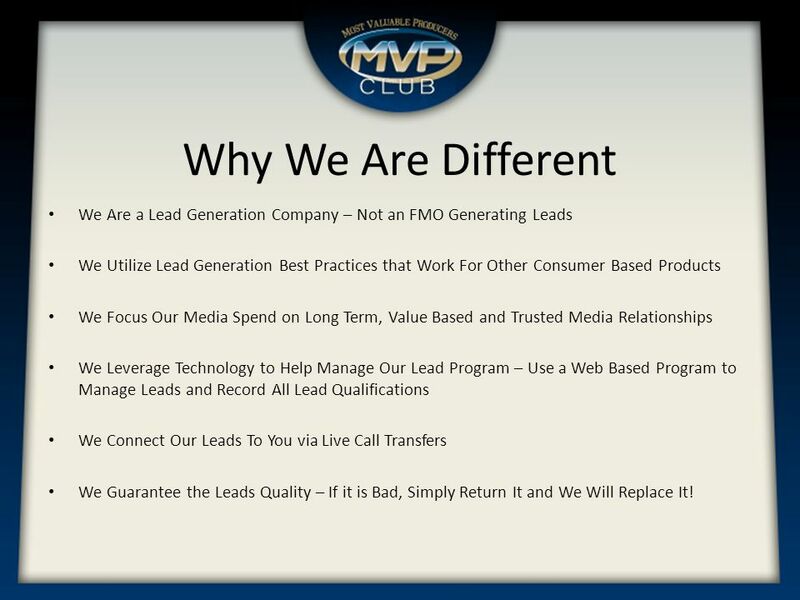 6 Why We Are Different We Are a Lead Generation Company – Not an FMO Generating Leads We Utilize Lead Generation Best Practices that Work For Other Consumer Based Products We Focus Our Media Spend on Long Term, Value Based and Trusted Media Relationships We Leverage Technology to Help Manage Our Lead Program – Use a Web Based Program to Manage Leads and Record All Lead Qualifications We Connect Our Leads To You via Live Call Transfers We Guarantee the Leads Quality – If it is Bad, Simply Return It and We Will Replace It! 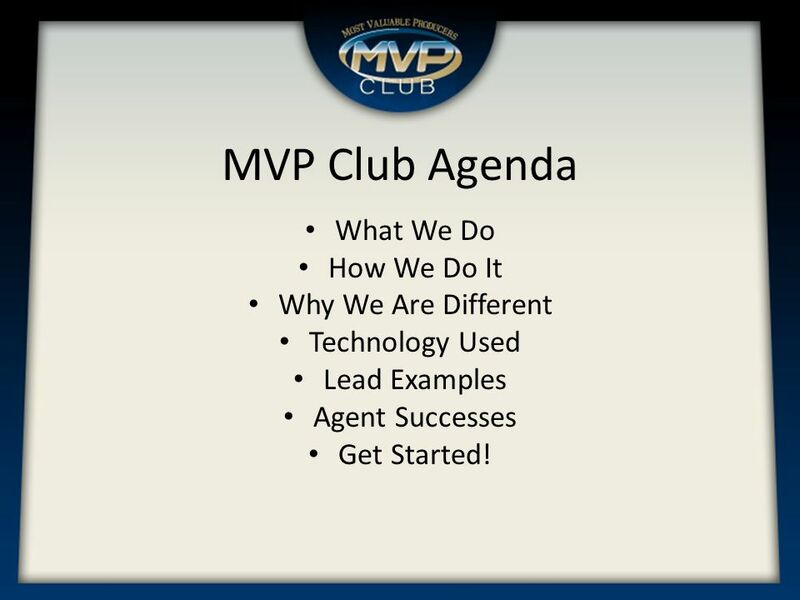 Download ppt "MVP Club Agenda What We Do How We Do It Why We Are Different Technology Used Lead Examples Agent Successes Get Started!" ing For Dollars How To Write s The Brings In Clients And Closings!! McGraw-Hill/Irwin Copyright © 2009 by The McGraw-Hill Companies, Inc. All rights reserved. Chapter 11 The Time Value of Money. 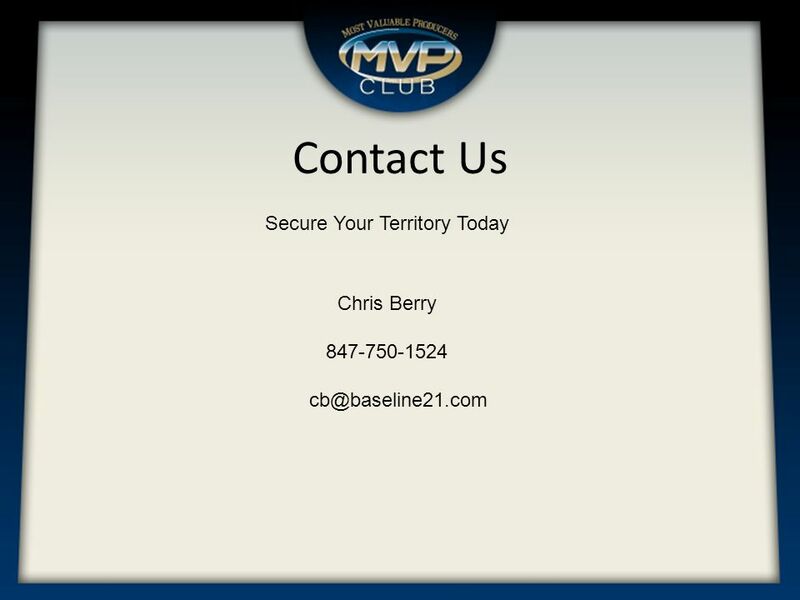 Leadership, Knowledge, Solutions…Worldwide. Electronic Endorsements Pilot Roger Oldham Head of Market Practice Central Management Its not complicated. 1 Proprietary and confidential. Not to be copied or redistributed without written consent from Medica®. Minnesota Health Action Group February 21, 2013. Why Split? 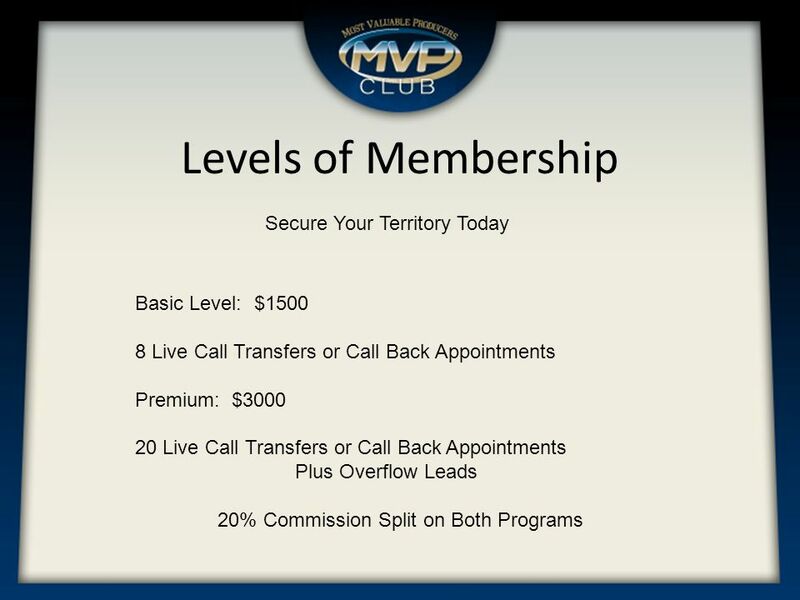 Create income to meet current and future needs. Reduce income taxes on earnings. Allow assets to work harder while still generating income.